Are high-speed railways really safe? DEWETRON made the test! Are high-speed railways really safe? Your next holidays are not that far away and you might use a high speed railway with more than 300 km/h. Do you doubt if they are safe at this high speed? 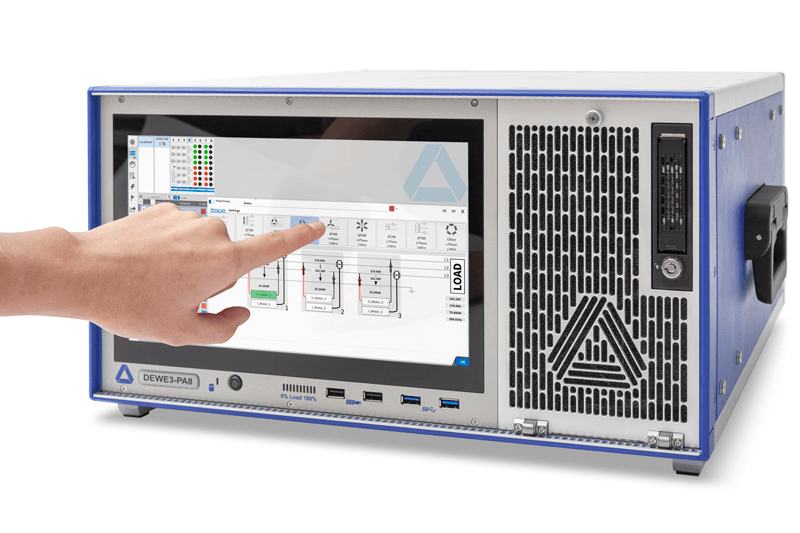 DEWETRON made the test – with our distributed measurement solution TRIONet! The challenge is to analyze different signals like vibrations, temperatures, strains, accelerations, etc. at several measurement locations (called measurement nodes) that are distributed throughout the whole long railway. For quick analysis, all data have to be recorded gapless and synchronized. One of our measurement experts took the challenge and accompanied one European highspeed railway with DEWETRON distributed measurement equipment. To have realistic, traceable results, all tests were made under real driving conditions with more than 300 km/h high speed. Our flexible measurement system TRIONet was used for this demanding, distributed measurement task. There were up to 90 meters distance between the measurement nodes. Multiple TRIONet systems were mounted in the train and synchronized. 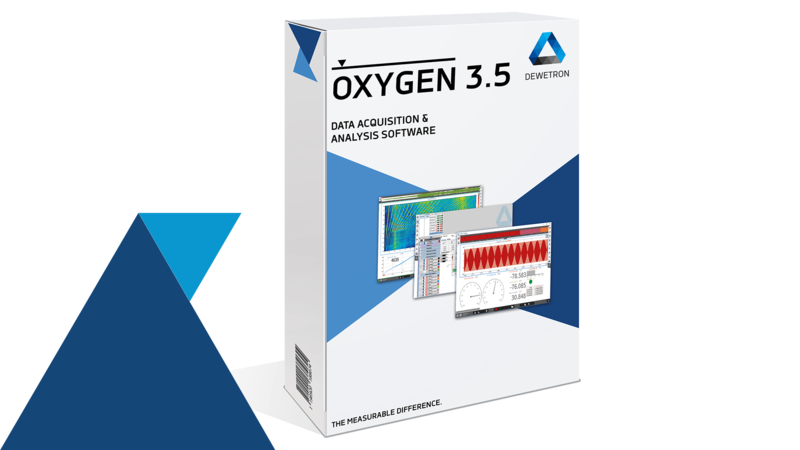 Our TRIONet system, with the innovative OXYGEN Measurement Software, was acquiring Video, GPS, rotation speed, vibration data and calculating/analyzing power parameters online, all in total synchronization. 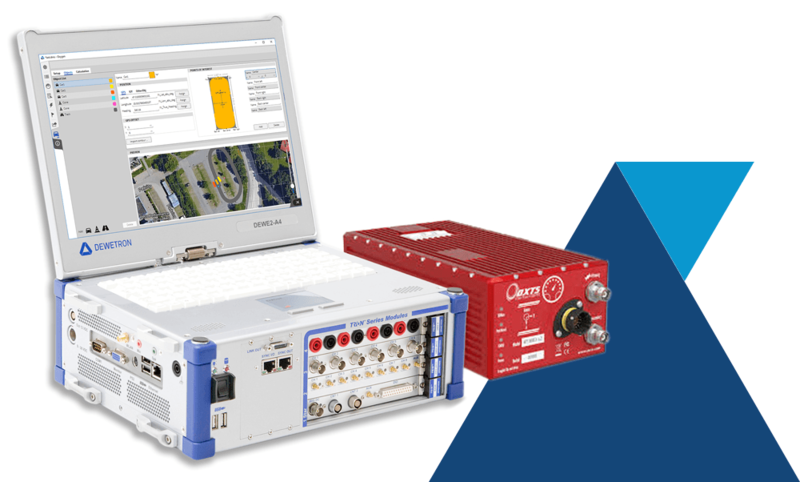 Easy to use software and zero-configuration functionality, in combination with reliable, gapless data recording, guaranteed a precise measurement and analysis of ride and comfort, pantograph movement, efficiency of drive trains and analysis of power parameters. 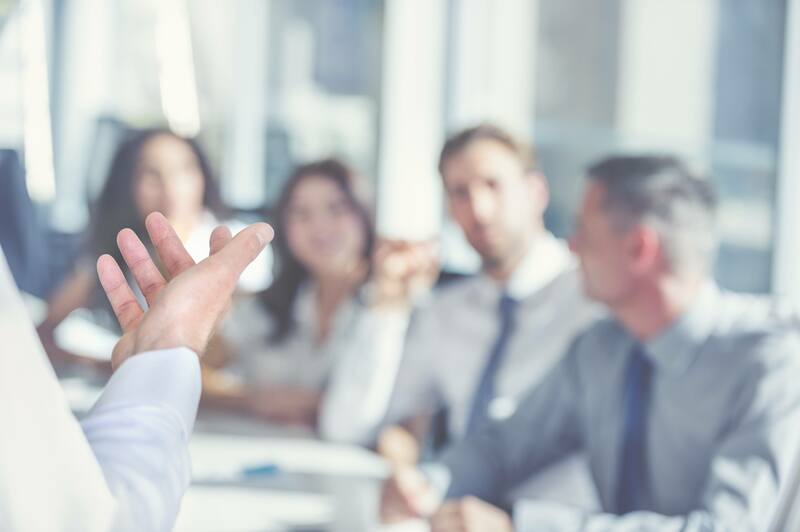 Decentralized measurement tasks are easily managed with intelligent, simple, cross-linking and the capability to increase the number of input channels as needed. Intended for distances with up to 100 m between the distributed measurement devices, the TRIONet is the ideal instrument for distributed decentral measurements. The TRION-SYNC bus assures that your signals stay synchronized regardless of whether you connect it to the first or the last network device. The Gigabit LAN connection guarantees a robust data connection over a long distance with a high data rate. High speed rails are safe! 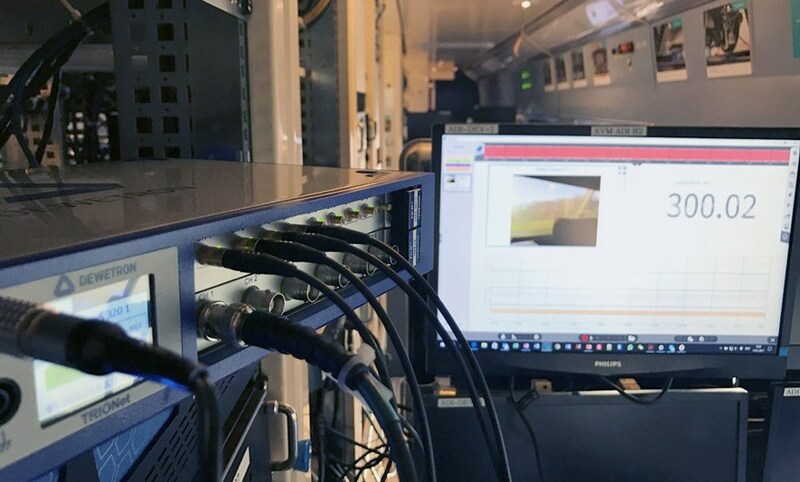 Our TRIONet provided distributed measurement tests on one of the fastest trains in the world and now we are convinced… The measurement results itself are unfortunately strictly confidential but we are allowed to say: YES, they are safe! 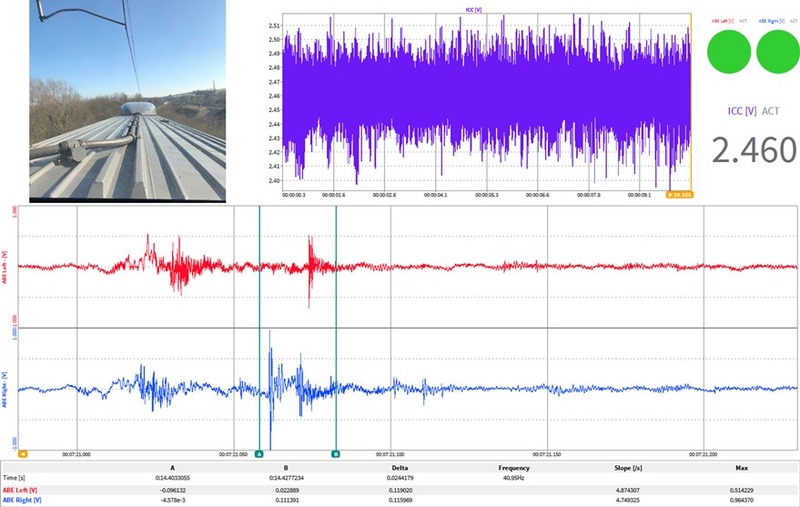 DEWETRON’s distributed measurement systems are the right tools for railway testing and analysis of their components (boogies, inverters, motors, pantograph, …) even at 300 km/h high speed. New DEWETRON Calibration Laboratory in Tarbes, France: At the end of November, DEWETRON France opened an additional facility under the name of DEWETRON Services.